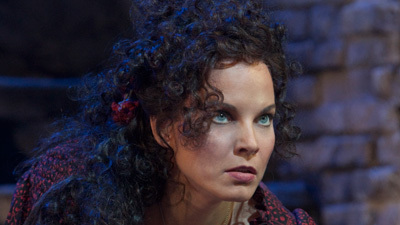 After starring as the title character in the 2009–10 premiere run of Sir Richard Eyre’s gritty production of Carmen, mezzo-soprano Elīna Garanča reprised her portrayal as the iconic gypsy in spring 2015. 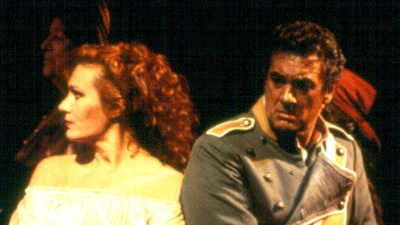 Garanča brings both supple lyricism and fiery intensity to her characterization, matched by the virile singing of tenor Yonghoon Lee as her lover Don José. 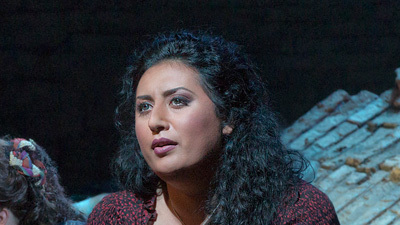 This run of performances also marked the Met debut of Ailyn Pérez, who offers an elegant interpretation of the country girl Micaëla. Baritone Gábor Bretz is the swaggering toreador Escamillo, and French maestro Louis Langrée leads a buoyant account of Bizet’s iconic score, which includes one unforgettable melody after another.